In today's society, we find ourselves trapped in a race. We find ourselves chasing wave after wave of excessive consumerism. We have allowed our lives to be defined by the latest fads we see on TV and social media. We believe that accumulating as many material possessions as possible will bring us more happiness. Before we know it, the stuff we own ends up owning us! What we get is more stress, worry, and anxiety. Minimalism is a way of living life free from all these modern-day afflictions. It's an intentional choice to live with less. You are surrounding yourself with the things that you value most and allowing everything else to fade away. Removing the clutter and the waste that serves more as a distraction can give you a more obvious path towards your own goals and fulfillment. This book will make it easy for you to adopt a minimalist lifestyle. 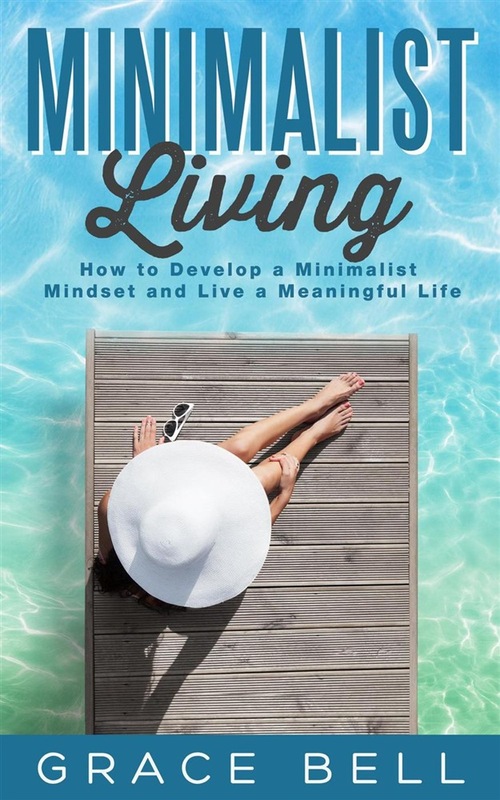 By reading this book, you'll learn: • what is minimalism; • how to build a minimalist mindset; • step-by-step instructions on how to declutter your home; • best strategies to develop a minimalism budget; and • minimalism tips for daily life. Download your copy of Minimalist Living now! Acquista Minimalist Living: How to Develop a Minimalist Mindset and Live a Meaningful Life in Epub: dopo aver letto l’ebook Minimalist Living: How to Develop a Minimalist Mindset and Live a Meaningful Life di Grace Bell ti invitiamo a lasciarci una Recensione qui sotto: sarà utile agli utenti che non abbiano ancora letto questo libro e che vogliano avere delle opinioni altrui. L’opinione su di un libro è molto soggettiva e per questo leggere eventuali recensioni negative non ci dovrà frenare dall’acquisto, anzi dovrà spingerci ad acquistare il libro in fretta per poter dire la nostra ed eventualmente smentire quanto commentato da altri, contribuendo ad arricchire più possibile i commenti e dare sempre più spunti di confronto al pubblico online.